Measures 32" x 16" x 4"
The 4 sided changing pad is designed to offer baby ultimate comfort and their parent easy cleaning and comfort of mind. 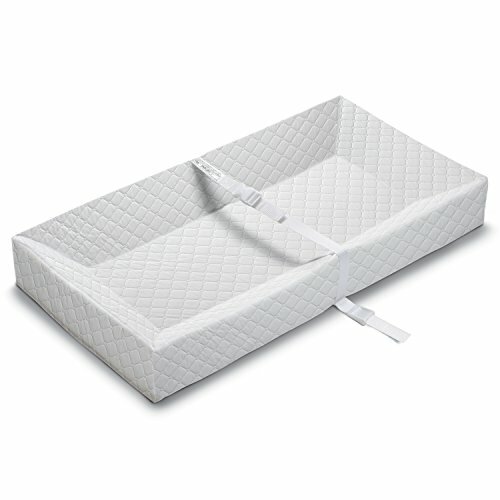 This pad measures 32" x 16" x 4" and fits almost any change table or dresser. Its four high walls help prevent baby from rolling too far in any direction. This safety belt attaches over baby's mid section and a security strap keeps the pad attached to the furniture. The top vinyl is PEVA and phthalate and PVC free, and double layered for maximum durability.